I’ve been trying to like the perfumes of Francis Kurkdjian for some time, but try as I might they let me down. 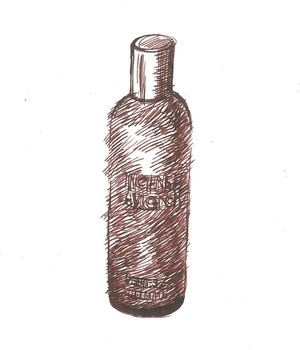 I’d have given up months ago except for the fact that I admire everything about them – their names, their bottles, their packaging, their design – apart from one inconvenient (and for a perfume, rather crucial) thing: the way they actually smell. 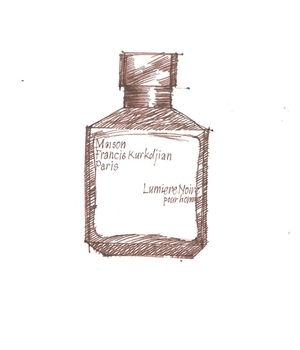 I feel particularly bad about this because the guys at Maison Francis Kurkdjian have very kindly given me four of his men’s perfumes: Lumière Noire, Absolue Pour le Matin, Amyris and Aqua Universalis. The bottles they come in are terrific: chunky glass cubes, narrowly faceted at each corner and more broadly faceted above and below, with a weighty zinc cap and discreet gold lettering in a sharp serif font – the zinc, apparently, being a nod to the distinctive zinc roofs of Parisian apartment blocks. Even the packaging, which lots of buyers simply throw away (not realising that keeping your perfume in its box preserves it from the degrading effects of light) is smart and carefully thought through: a box that sits within a thicker box, its interior printed gold. All admirable stuff, admirably executed too. Which is why it’s such a big disappointment that the contents don’t live up to the packaging, for me at any rate. Take Absolue Pour le Matin, which is the one I like the best (or more accurately, dislike the least). It’s a fairly fresh, lemony fragrance, which also contains iris and lavender, but it has a cloying, rather chemical character that lasts, and lasts, and lasts and makes me feel faintly ill. If it was a more unusual and original scent I guess I wouldn’t mind so much, or for that matter if it cost rather less than £115 for 70ml, but hey, there we are. Yet Francis Kurkdjian is obviously a perfumer of talent and imagination. His first big success came in 1995 when, at the age of just 25, he created Jean-Paul Gaultier’s first men’s fragrance, Le Male. Among his other successes are Armani Mania (2002) and Narcisco Rodriguez’ For Her (2003) and For Him (2007). They’ve all been big sellers, but – and perhaps this is the clue to why I’ve had such trouble with his own perfumes – I don’t like the smell of any of them. I’m not saying they’re bad: I’m just saying they’re not, for one reason or another, my style of fragrances, though they obviously appeal to lots of other people. For now, though, I’m going to keep trying, and I might review the other Kurkdjian fragrances in a while. In the meantime I’m hoping he releases a new perfume that I absolutely love.